Photo via Deviantart.com by Tuffix. I’m a proud Irish-Scottish-Vietnamese-Canadian Muslim, a hijabi, a feminist, a humanist, and unafraid to say so! No part contradicts the other, but rather enriches the other facets of my identity. Each of us are beautifully unique, and we should proudly celebrate it. We don’t have to be sorry, for what we are, what we believe in or what we chose to wear, or not wear. I’m proud of my modesty and believe my modesty is a form of expression to the world. My personality and my beliefs exude itself in my style. How we dress is a visual expression of ourselves. The modest movement has not been limited to a specific faith or isolated to a specific region, but rather has become a global movement. My hopes are that from this movement emerges empowered modest women who will be the role models for the next generations to come, with brands that are more inclusive, and represent the modest woman, in all its forms, for who she truly is. There is no one size fits all for modesty, or the modest woman. With so many modest women in business, as professionals, in areas where we are traditionally not seen, as content creators on Instagram and YouTube, we have shattered the first glass ceiling of the stereotype that we are somehow oppressed or limited by our modesty. It’s really just the beginning, and I cannot wait to see what is next to come. Whether its in positions of leadership, politics, schools, business, and yes, fashion, representation matters. Representation is showing that you belong in the greater social narrative. Hate crimes of minorities, in particular Muslims have increased substantially, which I believe is due to misrepresentation in the media, and the scapegoating Muslims for a political agenda. With that in mind, we can change all that. If we have proper representation in all parts of society, imagine the difference it could make. Little Mosque on the Prairie, was a Canadian sitcom that demystified Muslims to anyone who had never really known a Muslim or how they live there lives. Here’s a hint, it’s not that different than anyone else. That exposure “normalized” the Islamic lifestyle and helped to change perceptions. Look at what Mo Salah did, his excellence in sports with his exceptional humble character changed the view of Islam and Muslims for so many. We can take charge of our narrative which has been said on our behalf, and instead tell our own story. We must rise to this challenge and pursue areas that we are not normally seen (other than being doctors, engineers and lawyers). There are amazing Muslim women out there representing and tearing down those stereotypes. Here are just a few you should be keeping your eye on, and expect much more amazing things to come from them. Sheema Khan via Regina Leader Post. Sheema Khan, mashAllah an amazing Muslim woman who we all can look up to. Sheema holds a Chemistry degree from McGill University, then went on to Harvard for her Masters in Physics and Phd. in Chemical Physics. 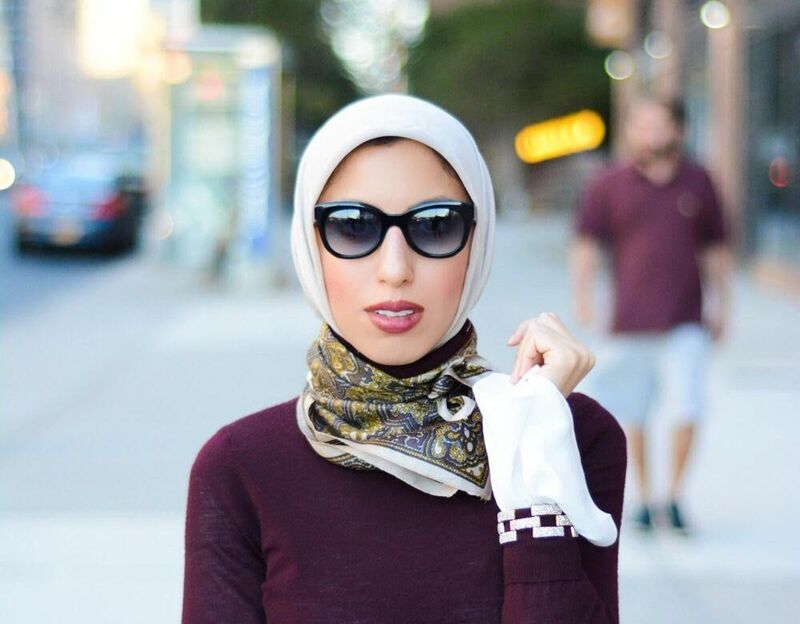 She is the author of, “Hockey and Hijab,” a TedX speaker, a board member of United Nations Canada, and a monthly columnist for The Globe & Mail (click link for one of her articles on feeling like a second class citizen. Profile of Rusul Alrubail via LinkedIn. Rusul Alrubail, has an amazing story to tell mashAllah, and passionately helps the under represented reach their goals. She recently launched Parkdale Centre for Innovation, and is the executive director for the non-profit organization, as well as a TedX speaker (this talk made me cry). The goal of Parkdale Centre, is to engage in the community, to create an incubator that is inclusive and an environment that fosters growth for entrepreneurs, skill building, and workshops to take your ideas and career to the next level. She was recently featured in The Globe & Mail. Everyone judges, you have to admit it! Even if you try your hardest not to, at some point you will. Imagine going to see your doctor to talk about you feeling anxiety or depression, and they tell you not to sweat the small stuff and that you’re overreacting. How would you feel? Would you go to another doctor for advice? How would you feel being judged based upon a diagnosis? Many people who have a mental health illness suffer from stigma and discrimination, from family, media, society and even from those who are there to help them, their doctors, nurses, and social workers. Mass media shapes public opinion, whether for the good or bad. Unfortunately media, in all it’s forms has made mental illness synonymous to violence, and something to be feared, through negative images, headlines and movies. Bullying is a disease that affects people worldwide. This video is amazing and I hope you watch and share it. It is truly inspiring and honest. How many kids go to school with a smile returning home with frowns, tears, or marks from being hit at school? No kid deserves this! Parents need to be aware of what is happening at their childrens school. Keeping communication open with your children is the only way to know what is going on at school. So what do you think about this video? How is bullying at your school? Or, for your kids? Remember bullying is NEVER OKAY, whether at school, at work, or at home! EP Article: My Child is Being Bullied. Want something fun to do this summer? Then get ready to mark your calenders. You must check out the Saudi Aramco Cultural Program in Dhahran, Riyadh, or Jeddah. Jeddah: June 16th – July 18th / 6 – 12 PM Daily / Saudi Aramco Club in Rehab Mall. Okay we all have those occasional moments when we blurt things out without thinking, but sometimes the consequences of that action can have dire results. It is certainly easier said than done, but we need to know how to speak, whether at work, at home or in any type of social environment. I’ve encountered many times people who open their mouths and just let whatever come out, sometimes not realizing how rude and obnoxious they actually sound. This can apply to emails just as similarly to conversations. Knowing how to speak and deal with people is the key to success. Life is all about dealing with people. Everyone has different personalities, ways of thinking and cultural norms, so learning how to navigate through all of that can sometimes be difficult, but with practice and time it becomes natural. Listen to the other person before you speak. Do not answer your phone unless you excuse yourself first. Do not ask inappropriate, personal or intrusive questions to someone you’ve just met or barely know. Of course the “no-no questions,” depend on your relationship with the person. The more closer you are to a person the more likely things will be more open to discussion. What are some of the crazy, rude or just really strange questions people have asked you? What are some questions or behaviours that are considered rude in your culture? Are you feeling down or suffering from depression? Have you ever thought about suicide? Experts say 1 in 6 people think of suicide. Do you know that suicide is now the 8th leading cause of death in the US? Someone commits suicide every 15 minutes in the US. I believe almost everyone can relate to this in some way or another. I’m sure most of us have known someone who has suffered from depression, commited suicide or has thought about or attempted it. Suicide and depression is an increasing trend worlwide. Dr. Samia Ahmed, of Qatar, states that the global rate of depression is between 11 – 20%. Kuwait stands at 37.5%, Saudi Arabia at 29.9% and Qatar at 27%. People turn to suicide, as a solution to end the pain that they are feeling. To them it feels like the only way to make it stop. But suicide is a final and permanent solution to a problem that is most often temporary. Depression if left untreated is a huge risk factor of suicide. Over 90% of people who commit suicide suffer from depression or another type of mental health disorder. The most frightening part is that the majority of suicidal people do not get the help they need. Their warnings go unnoticed or they simply fall through the cracks of the hospitals and institutions. If someone you know tells you they are thinking of suicide, take it seriously. Just because they are talking about it does not mean they will not do it. Seek medical help for them and do whatever you can to help. Be there to listen, not judge or lecture. I think the saddest thing about this is that most suicides are preventable. We need to spread awareness and help remove the social stigma of suicide and mental health disorders. We can make a difference if we try! A great tool used to help people who are thinking of suicide is a distress hot-line. There should be national hot-lines in Saudi Arabia and widely publicised, where people who are depressed, having suicidal thoughts, or suffering from abuse, can speak to someone, with confidentiality. It saves lives! There is no face-to-face interaction, no one would know their name, its just a place to express themselves and the pain that they feel. If you think someone you know can benefit from this please share it with them. Also, if you have any ideas or solutions to this global problem, its your chance to help, so speak up. Are You Having Suicidal Thoughts? Read This. Rising Suicide Rates in Saudi. Steve Jobs needs no introduction. He was a visionary leader who changed the world and our everyday lives through technology. When I read that he had passed away, I felt genuinely sad, just as I believe most people had felt. We had lost a legend and the world had lost someone truly remarkable. In his Stanford University speech, I believe he truly summed up all of life’s lessons in 15 minutes. Now how many people can do that? He touched base upon the flaws in the education system, coupled with the general attitude towards University and what most people define as success and happiness. Society has this popular idea that most parents shove down their kids throats, that you get good grades in High-school so that you can get into University and get a job to make a good salary, and you’ll be happy. But how many people have degree’s and go to work everyday saying to themselves, “I hate this.” Or they may have this great business idea, but pursuing it is “crazy and taking way too big of a risk.” His point is to do what you love and follow your gut feeling. Don’t go in to medicine, engineering or law, simply because it brings in the money and is considered prestigious. If you love it go for it by all means, but find what you love to do, and that will bring you happiness. He had great passion and truly believed in his work at Apple. He makes me look at my Blackberry Torch and want to replace it with an iPhone. If you want to know his impact on the world just look in your homes. How many of you have or want an iPhone, iPod, iPad or a MacBook? How many of you have seen a movie produced by Pixar? Movies like Toy Story, Finding Nemo and Car’s. Job’s said, its impossible to connect the dots looking forward, only looking back can you connect it. Follow your heart and believe that it will all connect together in the end. Find what you love to do and never settle! And always remember through falling down can we truly learn to grow. And most importantly never drown out your inner voice. To me that means, have a hunger for knowledge and never be satisfied and to be willing to take risks. What does it mean to you?